In today’s lesson you’ll learn how to crochet the Centre Single Crochet (CSC) AKA as the Waistcoat stitch! 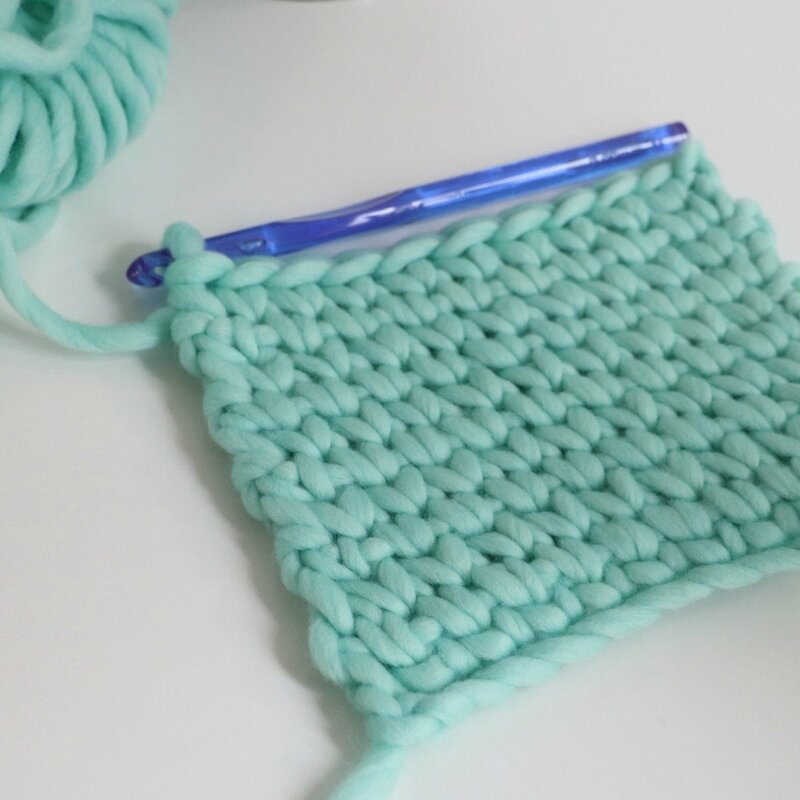 If you haven’t yet learned how to crochet we can get you started with the basics! Go check out our Learn to Crochet beginner series HERE. In our waistcoat stitch video tutorial I’m using Sugar Bush Yarns Chill Super Bulky #6 and a 9mm hook. Row 2: Ch 1 (not included as a stitch), work 1 csc in each st across, sc in last st, turn—10 sts. For those of you looking to grow your Instagram and Pinterest following I highly recommend using Tailwind! My focus for Tailwind has been to grow my Pinterest and Website Traffic. The results have been amazing! Since I started using Tailwind I grew my Pinterest monthly views from 30K to over 4 million and my website traffic from 70K to 350K! All in less than a year. Click on the banner below to see more and try it out for free. I started with the free trial and loved it so much I upgraded my plan. It’s been so worth it for my business!